What kind of automobiles ANZ Wreckers Christchurch buys? Auto Wreckers�Linwood Phillipstown, Christchurch are more than just auto dismantlers! If you have a Van, SUV, 4WD or a truck that you want to convert into cash, just give a call to our�friendly�team member for a free cash estimate today. Do you want cash for your junk vehicle today? You will get the best offer from us for your junk, unwanted cars as you are dealing directly with one of the biggest�car scraping companies in Christchurch. If you are looking for scrap car removal Christchurch then you are at the right place. Check out dedicated Canterbury page at Car Wreckers Christchurch. Our dedicated services help you to save a lot of money to dispose of their�old junk cars. Stop wasting your cashon online car sale companies to list your old cars for sale which no one would probably buy due to no market value for them. Instead you can call�Our�cash for cars team to�pick up with free removal service. All Make & Model of the cars. We Buy Vehicle From 1985 To 2015 any condition!! Toyota, Nissan, Mitsubishi, Honda,� Suzuki, Mazda, Isuzu, Audi, Renault, BMW, Chevrolet, Ford, Hyundai, Jeep, Kia, Land Rover, Mercedes, Volkswagen Volvo, Nissan, Fiat, Chrysler, Holden, Peugeot, Scania, Canter, Fuso vehicle we are buying for cash today. 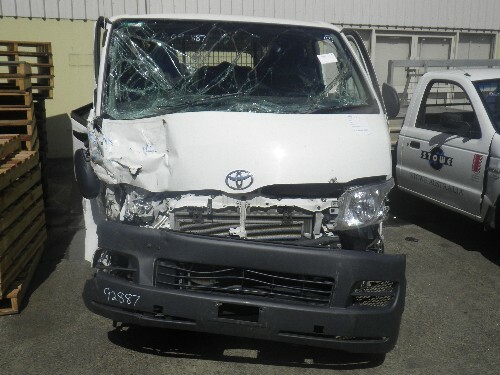 Check out our Toyota�wreckers page today�page for more details. Contact ANZ Car Wreckers for more details.